All babies are born friends. They do not care about money, race, religion or the colour of their skin. 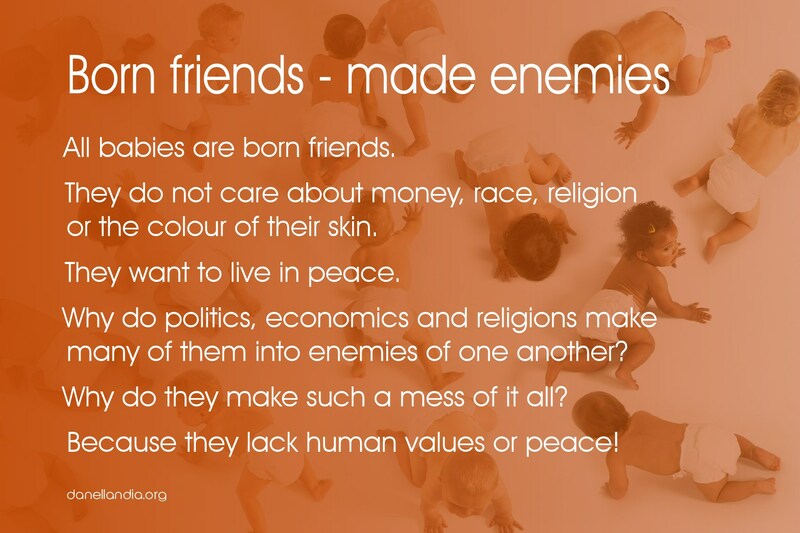 Why do politics, economics and religions make many of them into enemies of one another? Why do they make such a mess of it all? Because they lack human values or peace!